I’ll start with a bold statement. Nobody has done more for the online pinball community than Clay Harrell. He, along with Lloyd the Goose, are probably the two biggest “Internet Celebrities” this community has produced (granted, both took very different routes to achieve such “status”). 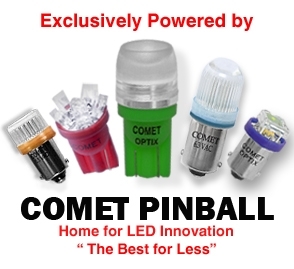 One cannot overlook Clay’s This Old Pinball podcast either, as it was a watershed online radio show that paved the way for all of the pinball podcasts that exist today. Clay was able to interview every influential pinball designer, artist and programmer on his show (with the notable exception of Popadiuk and Youssi). The recording of the show is 100% DIY (just like the TopCast videos) and unfortunately Harrell’s questions are fairly pedestrian and roll out as a mundane rundown of all the games to which the interviewee has been credited. The beauty of the interviews, however, occur when the questions are unscripted and the interviewee leads Harrell off the garden path to reveal tidbits and insider stories about working in pinball during their given era. Python Anghelo famously led Harrell off the aforementioned garden path, through a swamp, into a forest and off the edge of a cliff in his 90-minute interview/rant that trumped anything else Harrell had recorded or would record in the entire TopCast series. As the recordings came to a close in 2010, Harrell and his skeleton crew had hit their stride on the production end, and his three-part interview with Pat Lawlor stands as the most polished and organized of the bunch. For all the good he has done for the community, Harrell does have his detractors. His online presence comes off as very brash and sarcastic, and its easy to see that he could rub some the wrong way. A bit of muck raking appeared on rec.games.pinball in February of 2010, chronicling the messy fallout between Harrell and Jim Schelburg of the Pingame Journal (amongst other unsavoury tidbits). There was a rumoured falling out between Harrell and Arnold along the way as well . Not much more to say here other than there are bound to be personality clashes within such a tight-knit niche hobby such as this. 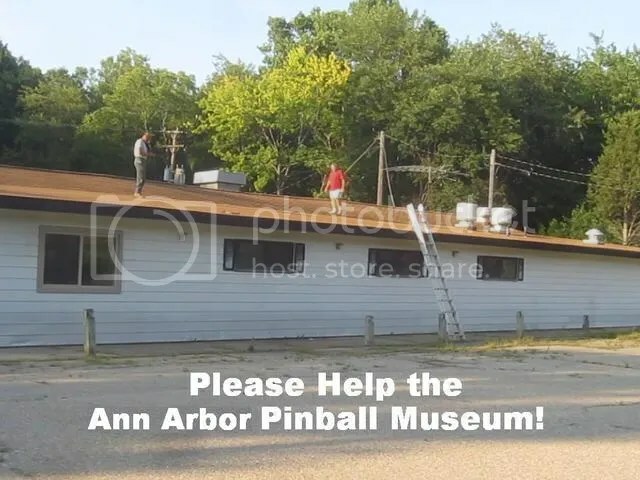 Harrell’s latest venture is the (partly) Kickstarter funded Ann Arbor Pinball Museum. Harrell closed his club in nearby Novi and moved the pins to an old VFW hall giving them a permanent home while maintaining a “club-like” environment. The Kickstarter campaign’s goal was $5000USD. It was easily achieved and ended up raising over $10,000USD for roofing and other facility costs. Again, the project had its nay-sayers, as Clay had been unable to keep the now-defunct Tilt Town afloat, and if I’m not mistaken he was a part of another failed pinball venue in Michigan as well. With the Ann Arbor project funded, Clay now prepares for the official opening show at the VFW Pinball/Vintage Flipper World site on May 16-18, 2014. The venue is not open year round, but rather follows a PAPA model where the public is welcome about four times a year–tickets must be purchased in advance and are limited in quantity. With his years of experience behind him, it sounds like Clay has it all figured out. Love him or loathe him, Clay Harrell has certainly given his all to an online community that seems to be growing daily. To many he’s just a name from a forgotten time when a Twilight Zone could be bought for $2000, but when examining the scope of what he has offered to this relatively small hobbyist community, his contributions are almost immeasurable. 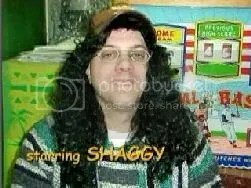 Categories: People | Tags: Clay Harrell, Pinball Ninja, Shaggy, TOPcast | Permalink. listen news on Television, so I only use world wide web for that purpose, and get the newest information.